After arriving in Durango the first week of November, the #18 was reunited with its tender and a few minor repairs were made. 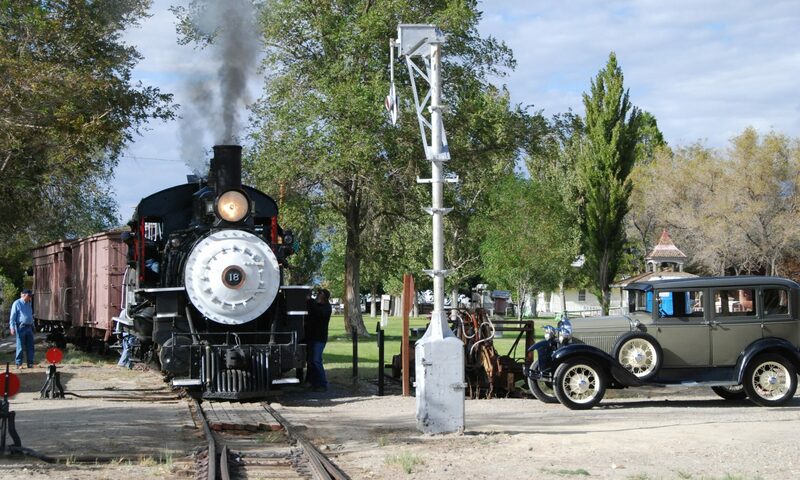 Its first steam day came on November 15th and was within the confines of the Durango Yard. On Thanksgiving eve, November 21st, the #18 took its first trip out on the line to Home Ranch siding. The round trip was about 14 miles in length and it was the first time in 65 years the #18 was truly up to speed at 20 mph. At Home Ranch the #18 picked up a caboose, turned around and headed back to Durango where it performed the evening switching duties and even pinch hit for the Polar Express grand entrance. Sanding flues with 9 cars in tow. Missionary ridge in the background at Home Ranch siding.